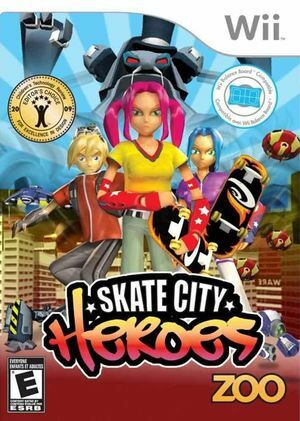 In Skate City Heroes, your best skating buddy has been kidnapped by Virus, your arch-nemesis, and only you can save him! Become a skateboard master as you zip between hover cars, grind on rails, and pull sick tricks combos throughout a futuristic metropolis. Hidden bonuses and items will help you impress the evil captor in order to free your friend. Your grappling laser and trusty skateboard are all you need to smack down your nemesis and restore peace to the city! The graph below charts the compatibility with Skate City Heroes since Dolphin's 2.0 release, listing revisions only where a compatibility change occurred. This page was last edited on 14 January 2018, at 12:30.